Last weekend, two long-running National Collegiate Disc Golf Championship-qualifying tournaments — the Texas Collegiate Disc Golf Championship and the Southeastern Collegiate Open — hosted 32 hopeful teams vying for a spot at the April championship, and the Southern Collegiate Disc Golf Association continued league play. 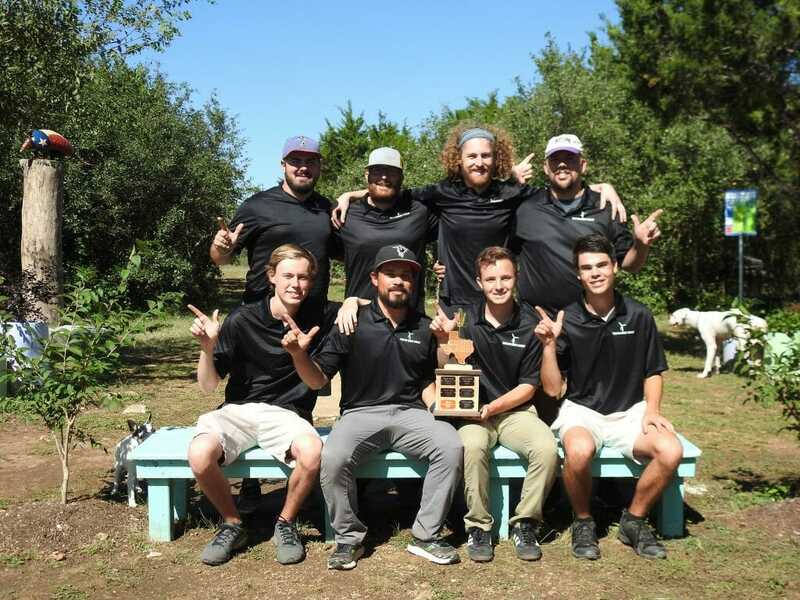 With 20 seniors participating in last year’s event, Texas Collegiate Disc Golf Championship event directors, Des and Jay Reading, knew that 2018 was going to be a rebuilding year for many programs in the state. Despite the turnover, the TCDGC remains one of the strongest collegiate events in the country, and included 35 collegiate players from 10 teams. The number of personnel changes became evident when the defending tournament champions and 2017 NCDGC runner-up Texas A&M didn’t even field a team. Other traditional powerhouses, such as Texas State University, were struggling to put full teams together. On the other side of the coin, the University of North Texas brought three teams to the event including eight first-year players. The top two teams emerging from the group to make the championship match play finals were the Red team from Texas Tech and Abilene Christian University. The ACU Wildcats, under coach Deonna Shake, have been steadily improving over the last two years and it showed throughout the event. The Wildcats dominated the team points qualifier on Saturday and their semifinal match Sunday morning to reach the finals. Texas Tech’s experienced team rode the hot hand of Jack Helgerson to the championship. In the end, it was the Red Raiders that emerged as champions. The tournament handed out two qualifying berths, meaning both Texas Tech and ACU are qualified for April’s NCDGC. Other champions crowned at the event included Texas State’s Matt Barajas, who won the Men’s Singles title, as well as Jonathon Nicholson and Triston Williams who prevailed in the three-way tiebreaker to win the State Doubles title. The current reigning Collegiate National Champion Andrew Lowrie, of the University of Texas Longhorns, won the alumni division. The Southeast Collegiate Open at the International Disc Golf Center saw 22 teams battle for one NCDGC qualifying spot. 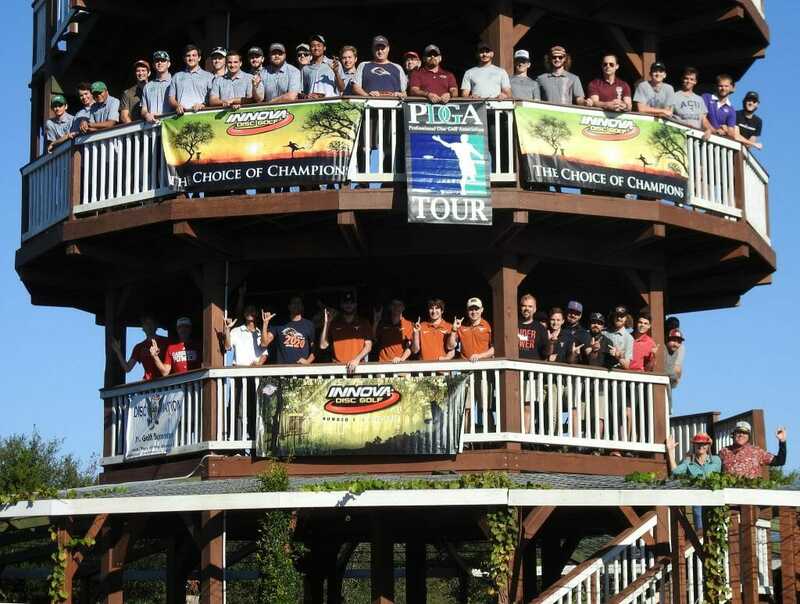 The tournament featured the four teams — Mississippi State University, Liberty University, North Carolina State University, and Clemson University — who participated in the Dean’s Cup at USDGC earlier this month. Liberty were the runner-ups at Winthrop but found themselves running away with the SCO title. The Flames finished the tournament 15 strokes ahead of their nearest competition, Clemson, in a format similar to the NCDGC which included combined scores from singles and doubles play. Liberty was led by Hunter Thomas who won the individual title after shooting a 13-under par 82 on a beast of a course that combined the Hall of Fame Classic layout of the Steady Ed course with the front nine holes of the Warner course for a 27 hole par 95 gauntlet. Liberty’s performance earned them a bid to April’s big dance. The Dean’s Cup Champions and defending national champions Mississipi State finished in seventh. 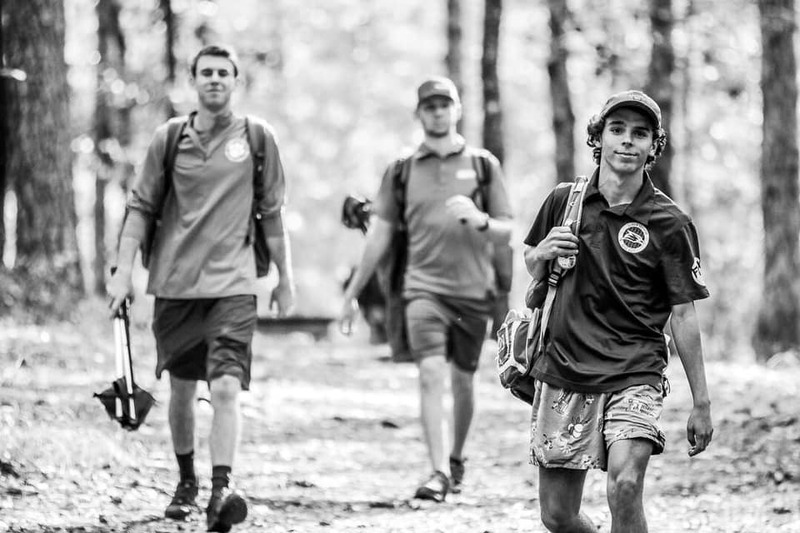 The Southern Collegiate Disc Golf Association continued play over the weekend with several key matchups as the conference championship seeding begins to come to light. The top matchup from the weekend featured two undefeated teams, Arkansas State University and Southern Arkansas University. ASU has won the last two conference championships and was the favorite to take the title going into the season. Southern Arkansas is an up-and-coming program with several key wins already on the year. The challengers from SAU had Arkansas State on the ropes after winning three of four singles matches. 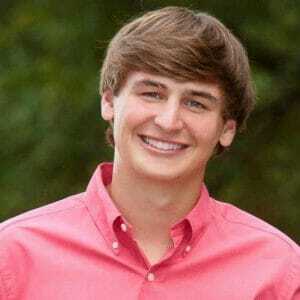 Arkansas State would have to win doubles to force a playoff in order to have a chance to win the match. After the first 11 holes of doubles, the Red Wolves from Arkansas State were down three strokes. Arkansas State mounted the comeback to win doubles and force the match into a playoff, which they would win on the fourth hole. The victory sealed an undefeated season for the Red Wolves who will enjoy an off week next week before the conference championship tournament begins on November 10th. The victory should add an extra boost of confidence for Arkansas State as the match was held at the same course as the conference championship, The Traxx in Bryant, Arkansas. Southern Arkansas University has one match remaining against Lyon College next weekend. The match could prove pivotal for the Mullriders as they are locked in a battle with an experienced Hedrix College team for the tournament’s second seed. Hendrix’s victory over Central Arkansas over the weekend kept them in the hunt for the first round bye that the second seed would provide. Full standings for the conference can be found here. Comments on "College Teams Fight For NCDGC Qualifying Spots"